Officially, the Nippon Kōgaku Kōgyō will blow his hundredth candle July 25, 2017. Nippon Kōgaku Kōgyō, is the former name of a photographic business that you all know: Nikon. The latter however did not summer to start the celebrations.The opportunity for follow us to suit and to revisit its century, focusing on the photographic side in a few key steps. created until 1934). They are now bound in a common destiny, all under the blessing and with the funds of Koyata Isawaki, heir and Chairman of the Mitsubishi empire. By the way, note that Nikon remains, a century later, a subsidiary of Mitsubishi, but the turnover of the optics specialist represented, in 2015, less than 0.4 percent of that group! Initially, the army is the main customer of the Nippon K.K., to whom it provides in binoculars, periscopes, viewfinders and rangefinders, etc. At the beginning of the 20th century, the Germans are still the champions of optics, discipline they have mastered so for nearly fifty years. Henrich Acht, Ernst Bernick, Hermann Dillmann, Karl Weise, Albert Ruppert, Max Lange and Otto Strange engineers are recruited by the Nippon K.K. for a contract of five years – Heinrich Acht, head optician, until 1928. The first drawn objectives are Germanic inspiration and it shows in their name: Flieger goal, double Anastigmat, Dialyt Anastigmat, Porträt Anastimat. Several focal lengths are studied, the 7.5 cm to 50 cm, with maximum apertures between f/2 and f/6, 8. The drawings of German engineers will later inspire Japanese opticians to create the Anytar, taking a type of Zeiss Tessar formula. These objectives are not intended to be marketed and do not cross the stage of industrialization. If the Nikon name is today mostly known for its cameras, is only 31 years after its creation the Nippon K.K. released its first case 24 x 36 mm. Since the passage of German engineers, the firm nevertheless produced many photographic objectives to equip other brands boxes: Konishiroku (future Konica), Contessa-Nettel, Seica, and Mamiya and especially… Canon! Indeed, all the first boxes of the future great historical rival, the Hansa Canon (1936) to the Canon (1946), were fitted with Nikkor 5 cm f/3.5, until Canon develops its own Serenar. The first camera Nippon K.K., which is also the first to wear the ‘Nikon’ brand, is so a rangefinder case – until 1952 that Asahi Optica Co. so the first DSLR. This Nikon I wants to stand out from the competition (Leitz, Contax, Zeiss Ikon, Minolta, FED gun, etc.) through the Japanese image format (24 x 32 mm), which allows to capture 40 images on a film type 135. Only 750 boxes will find takers, only on the domestic market, since the US administration then in place would oppose its export. In 1949 out the Nikon M, with a 24 x 34 mm image window, which remains until the Nikon S.
Brand ‘Nikon’ almost be called Nikorette, either “Nikko” followed by the suffix “-ette”, in reference to the small size of the case. Deemed too frivolous, this option was abandoned in favour of ‘Nikon’, the letter N with a more masculine connotation in Japanese. Some however see a tribute a little too hard to the Zeiss Ikon, which explains the disappearance of the second K, and also explains why, from 1963 to 1968, the Nikon F was sold under the name of Nikkor F.
David Douglas Duncan, American war photographer, the legendary Lifemagazine contributor, is an avid leicaiste. In 1950, in report in the Japan, it is taken in photo by the local correspondent of the journal, Jun Miki. This one uses a Nikkor 8.5 cm f/2 mounted on a Leica IIIf. Impressed by the level of contrast of the – much higher than that of its objectives Leitz – goal, Duncan decides to meet Masao Nagaoka, then President of Nippon K.K, which lends several boxes and brand objectives. Convinced by the quality of the optics, Duncan decides to be equipped with optical Nikkor. This same year is declaring war in Korea. Many photographers of war, conquered by the images produced by Duncan, decide to equip themselves in Nikkor lenses and Nikon bodies (, locally, in the far East, it is easier to obtain equipment Nikon and Leica equipment). Why is this power differential solving and contrast? Some argue that the rare earths used in the Nikkor optics are of better quality than those used in the Leitz optics. others put it on account of different philosophies; some finally see above all a sign of the technological superiority of the Nippon K.K. always is that it is a photo taken with a Nikon S who won the U. S. Camera Prize of 1950; at the same time, the New York Times publishes an article touting the superiority of the Nikkor lenses and Nikon bodies. SLR cameras have been around for seven years but isn’t that in 1959 as the K.K. Nippon launches its own model. This takes up the majority of the features of the Nikon SP, on which it is based, by adding a mirror, a pentaprism and using for the first time in the photographic industry a shutter slat 0.02 mm thick titanium. The Nikon F knows an exceptional lifetime, as his replacement, the Nikon F2, happens in 1971. In the meantime, Nippon K.K. has had time to work with the Commander Jacques-Yves Cousteau to develop the Nikonos (1963), a case with interchangeable lenses completely waterproof. On the basis of a Nikon F Photomic FTn, Nippon K.K. will develop even a model designed for NASA, which will be shipped on the Apollo 15 mission. Some 46 years later, the International Space Station is exclusively equipped with Nikon SLR. With the Nikon F comes the introduction of the eponymous mount, the oldest mount DSLR still in activity today. In 58 years, this mount has evolved with the times, by taking over the meter coupling, coupling the diaphragm, management of autofocus – the first attempt to AF date from 1983, with the Nikon F3AF, but until 1986 and the Nikon F-501 for a true case thought to autofocus-, etc. This longevity allows the use on modern SLRs of the brand, almost all Nikkor lenses produced since 1959 – F 100 million units has recently been reached – with only a few minor changes. The F-mount even exceeded the framework of photographic imaging as you can find in the world of video and medical and industrial. In 2004, Nikon released its silver case, the F6. However, its efforts are clearly focused on digital since 1995. Its first two digital SLRs, the E2 and E2s, are developed in collaboration with Fujifilm. In 1997, the Coolpix 100 and 300 are the first compact digital cameras from Nikon. The Coolpix 300 is far ahead of its time since it has, among other things, a touch screen that can be controlled with the stylus. In 1999 released the D1, first digital SLR developed entirely in-house, after a period of record point of only two years. 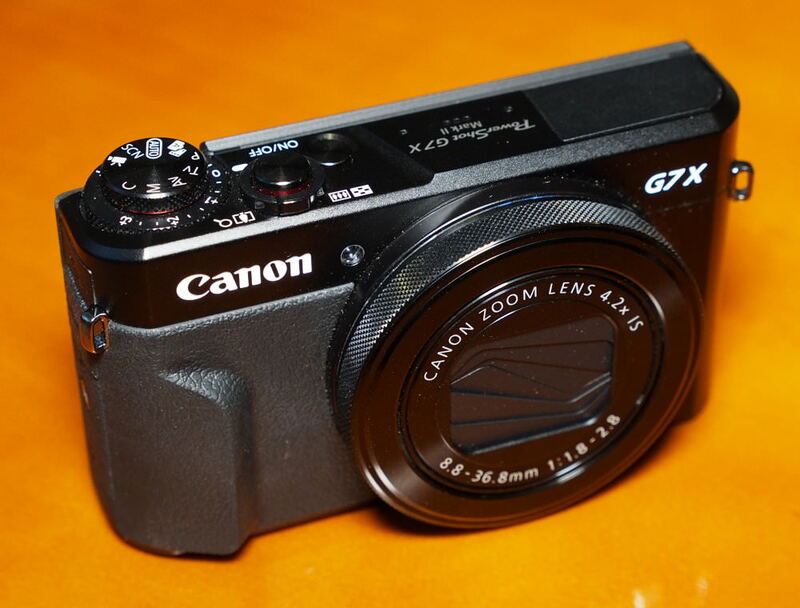 Its CCD sensor has only 2.7 Mpx. The Nikon D700, first DSLR 24 x 36 mm “general public” of the company, coming from his side with two years behind on the Canon EOS 5 d. However, it is the Nikon D90 which is the first SLR capable of filming in HD 720 p, which opens the way to a true revolution in the film industry. Revolution… by Canon. Nikon shows still several bursts of pride, making the race on the definition and the very high sensitivities, but does not anticipate the hybrid wave and, above all, the decline of the photography market.After 100 years of existence, therefore a weakened Nikon, seeking to renew itself at all costs by addressing, among other things, market action-cams with its KeyMission, which is presented to us. Which is good when one is struck by acute fit, it is that one has the opportunity to see a lot of material, all brands, all types, between his hands. For my part, I got several Nikon bodies: an F4, a FM2n, a 801… I have even a Coolpix 950 walking in one of my drawers! However, without a doubt, my favorite combination was the Nikon FM3a combined with the Nikkor 50 mm f/1.2 AIS. A formidable duo, which produces images of beauty breathtaking… or at least I suppose, since five years after having sold them I still not developed the film. I made my first steps in photography with the D90, acquired during my training photo. It was my first DSLR, I felt I could do anything and, over time, I realized its excellent quality/price ratio. I however quickly invested in the 50 mm f/1.4 since the kit zoom most suited me. 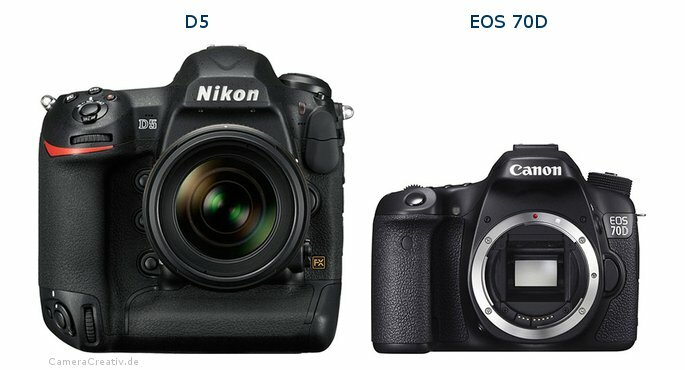 Unlike Bruno, I prefer the miniature version of D5, less imposing, namely the D500 to APS – C sensor. I love everything about this case: its ergonomics, its burst, its image quality, its viewfinder mode, etc. 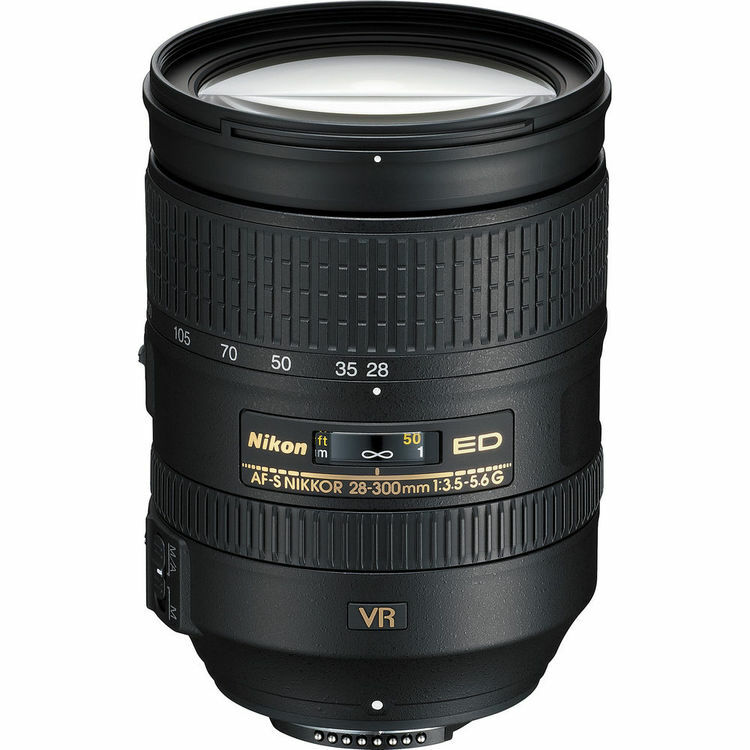 And then it is the first DSLR APS – C Nikon to shoot in 4 K/UHD! I expect however a real revolution on the side of the Nikon hybrids, including the ergonomic point of view. 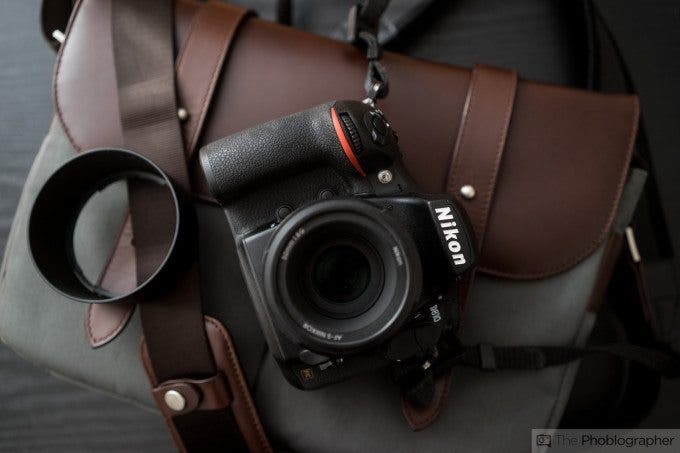 I would like a more manual and case less minimalist than what is currently done with the Nikon 1. I’m also excited to discover experts DL, even though their output ceases to be delayed.